The race to reach Super Bowl 50 reaches its conclusion this weekend, but for Carolina Panthers quarterback Cam Newton it will be just another day at the office. 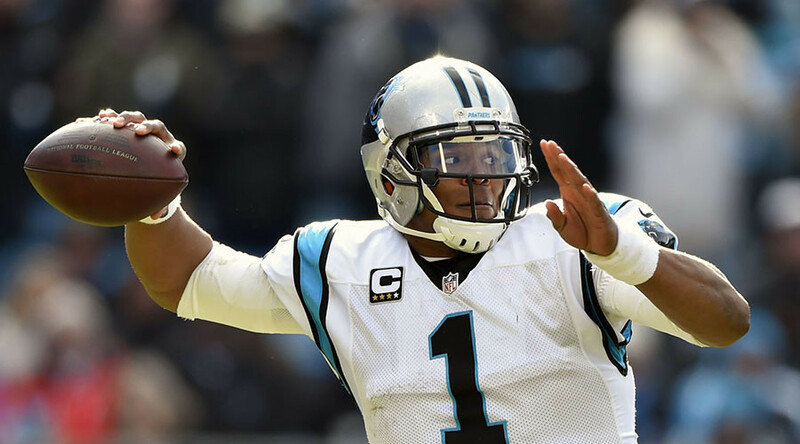 The Panthers have lost just two of their previous 23 games, with Newton staking his claim to be this season's MVP, but he says he will treat Sunday's NFC title game against Arizona Cardinals just like any other. "It's just a football game - the only thing that's changed is probably the media attention," he said. "We could have this game in the parking lot. We could have this game on the practice field. It's nothing different. Nothing's going to change for me." Can the Panthers hold their nerve? While Newton's confidence is admirable, the Cardinals represent a stern test for the Panthers, who came close to blowing a 31-0 lead in the last round against the Seattle Seahawks. 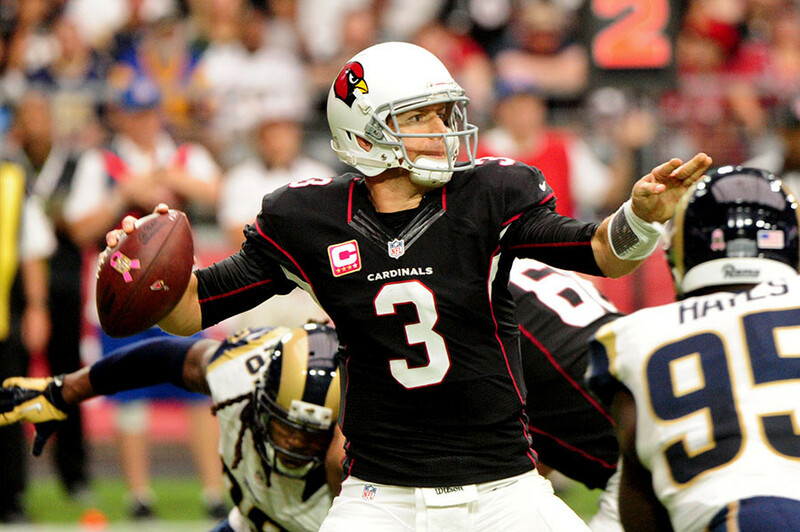 Quarterback Carson Palmer kept his cool to lead his team past the Green Bay Packers last weekend, and with a defense that gave up an average of just 19.6 points per game during the regular season, the Cardinals have the tools to cause the Panthers problems. Wide receiver Larry Fitzgerald grabbed the winning touchdown against the Packers and his performance placed him in some very elite company. His 75-yard run on the first play of overtime took him over 100 yards during the game. It was the fifth time Fitzgerald had done this during his career, with only Michael Irvin (6) and Jerry Rice (8) ahead of him in the list. The Panthers have been amongst the favorites for Super Bowl 50 for much of the season, but Palmer and Fitzgerald could be their undoing against the Cardinals. The AFC title match-up is also a tale of two quarterbacks, with Tom Brady's New England Patriots facing Peyton Manning's Denver Broncos. For the Patriots this will be their fifth consecutive AFC title game, as they chase a second successive Super Bowl crown. Brady's career record against Manning-led teams is impressive (11-5), while his 68 percent pass completion rate with Rob Gronkowski and Julian Edelman on the field (compared to 60 percent with either off the field) further raises confidence in their prospects. 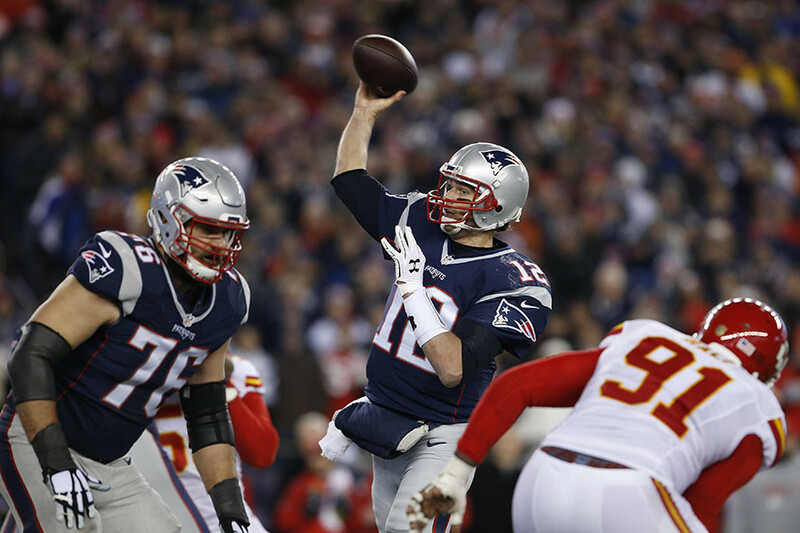 Despite the inevitable focus on the two legendary quarterbacks, Brady says the game will be won by the team that produces the most complete performance. "It's going to take all three phases," said Brady. "I hope I play my best possible game. I hope our defense plays the best possible game. "We can't just play well offensively and expect to win - we're going to need the entire team to play well. "To play against those Peyton Manning-led teams you know you've got to play 60 minutes and you're going to be in for a tough game." The Broncos' success this season has been built on a defense which has allowed just 18.5 points against per game - the best in the NFL. Manning's status as one of the finest quarterbacks to grace the NFL would be enhanced by victory against the Patriots, but after a solid rather than spectacular performance in last week's 23-16 win against the Pittsburgh Steelers, Brady and New England will fancy their chances of reaching Super Bowl 50.